CFTA is pleased to announce Lynn Allen as our 2019 Conference Keynote! In her 20-year career as Technology Evangelist, Lynn Allen has spoken to more than a half million professionals at events in over 50 countries throughout the world. Her online presentations and videos have easily reached over five million people over the years. 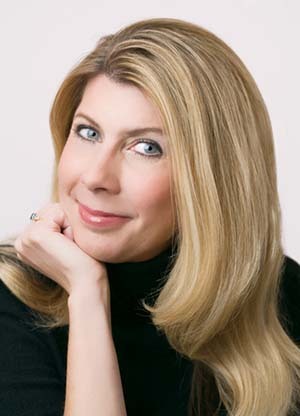 For over 20 years she wrote a column for Cadalyst magazine and is the voice behind the popular Cadalyst videos –“Tips and Tricks with Lynn Allen”. A sought-after public speaker with a unique comedic style, Lynn served as the Emcee/Host of Autodesk University, a 10,000 person event, for over 10 years and is always one of the highest rated speakers at multiple design and software events. Her passion and strength is connecting with people and shining a light on new technology. The author of three technology books, Lynn has over 21,000 followers on Twitter with over a quarter million impressions every month. She has received numerous awards for her contributions to the Design and Technology communities. Lynn has also provided the keynote at many STEM conferences and is very focused on showing our youth they can positively change the world through technology.